The age-old practice of displaying a student’s work is alive and well. It’s no secret that children love to share their accomplishments with others. Whether you are a family member, friend, coach or teacher, there is at least one time when you have been asked to display a child’s masterpiece on the refrigerator, office desk or classroom pin board. The reason behind this long standing practice is simple. Children need continuous feedback to reaffirm that they are valued and accepted and that their efforts are appreciated. Consequently, the more positive feedback children can garner from encouraging role models will more than likely ensure the successful and ongoing development of the child. For educators, it is imperative that student success is celebrated. 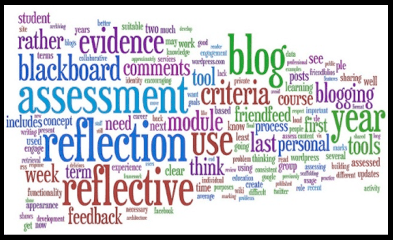 One method of displaying student success is the use of e-Portfolios, which could be defined as the ongoing collection of digital evidence and artifacts for the purpose of demonstrating a student’s ownership and personal reflection of his/her learning. The benefits of using e-Portfolios are immense. In a nutshell, e-Portfolios enhance the student learning experience by greatly expanding the audience who can not only view the e-Portfolio, but also provide valuable feedback. By expanding the walls of the classroom, the learning process becomes more personal and authentic which encourages students to play a more active role in their own learning, an important component for future success. 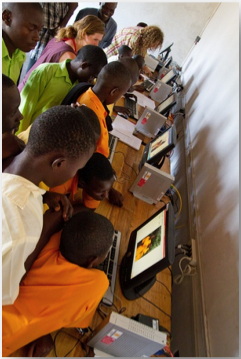 The second key benefit of e-portfolios is the introduction of digital citizenship. The importance of creating and managing a positive digital footprint cannot be underestimated as much of the content we share on-line is often permanent. In this digital age, it is imperative that students actively engage in representing themselves on the internet in a positive manner. Purpose. Educators must consider the purpose for implementing e-Portfolios into their pedagogical practice as the reason(s) may be the determining factor(s) when selecting the most appropriate web tool for your needs. For example, if the purpose of the e-Portfolio is to encourage students to reflect upon their learning or to assess and report student progress, the utilization of a web tool that incorporates a text editing feature would be necessary. Or, if the goal is to showcase student work, a web tool with a variety of graphic options would be needed. No matter what the educational goals are, it is vital to select the right web tool for the task. IT Support and Infrastructure. The main concern one must investigate is whether or not the selected web tool matches the technological resources available to you and your students. To minimize technological issues, it is recommended to select web based tools as they are more likely to be compatible with multiple operating systems. Following are the three web tools I highly recommend for creating student e-Portfolios. Weebly for Education is a web based tool that allows users to easily create an attractive website – blogging option available as well – by using the simple drag and drop interface. Users have a wide range of multimedia features to choose from such as video, audio, images, etc. The true power of Weebly, however, is demonstrated with its HTML feature as anything with an embed code can be added to the website. Lastly, another key element of the Weebly for Education site is the teacher account feature as teachers are able to create and manage student accounts from a central location. Evernote is a powerful cloud based web tool that works on multiple computing and mobile platforms. Not only can the user create text, photo and audio notes, but your favorite web pages can also be clipped and stored using “Web Clipper” – an Evernote compatible app. Organizing your data is also very easy with Evernote as a search can be conducted by keyword, tag or printed and handwritten text inside images. As well, annotation, shapes and sketches can be added to your data using “Skitch” – another Evernote companion app. By far the best feature of Evernote, however, is the synchronization of data across all devices. For instance, when a photo is taken from your phone and saved in Evernote, it can be accessed within minutes from your computer or for that matter any other device with an Evernote application. Pinterest is an interactive social media web tool which is best described as the present-day version of the scrapbook. Images are ‘pinned’ from the internet or uploaded from the computer and organized in categorized collections, or boards. These boards can also be shared by requesting an invite to someone else’s site. Pinterest is by far the most visually pleasing web tool of the three which definitely makes it a favourable choice for e-Portfolios for the visual arts. e-Portfolios are a great way for students to take ownership of their learning. In turn, the displaying of student work to a global audience has a powerful and motivating influence wherein positive feedback can have a tremendous impact on continued student success. 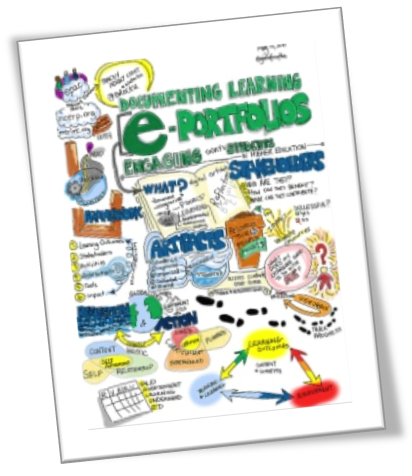 It is for these reasons that e-Portfolios are considered a pedagogical treasure. Google sites have become harder, though, since Google changed the sidebar change procedures. Hopefully they’ll fix that :).